““Who of you by worrying can add a single hour to his life?” Matthew 6:27 convicts me more than I’d like to admit. While I know that worrying about something will not affect its outcome, I still struggle with this. In reading this passage (Matthew 6:25-34), Jesus reminds us of several key points. Here are the two that stick out to me most this morning: 1) We are valued. 2) Stay in the moment. For those of us that struggle with worry, God wants to give us freedom from worry. He wants to remind us that He takes care of feeding the birds and giving them shelter, and He wants to do so much more for us. I needed this guest blog. I needed to be reminded of God’s promise to care for me. Why? This is one of those lessons that my head and heart have some disconnect. I know in my head that God doesn’t want me to worry about things that I have no control of. He doesn’t want me to get stuck in regret from my past or worry about my future. He wants to spend time with me NOW. He wants to give me rest and to teach me to rely on Him. Birds rely on God – that’s why they are careless in His care. They don’t try to fix everything themselves, but they trust in their Creator to provide. When I surrender my worries and trust in my Creator, I can find rest. 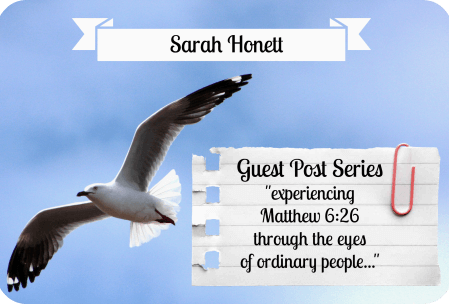 Sarah is a follower of Jesus, wife, and mother. 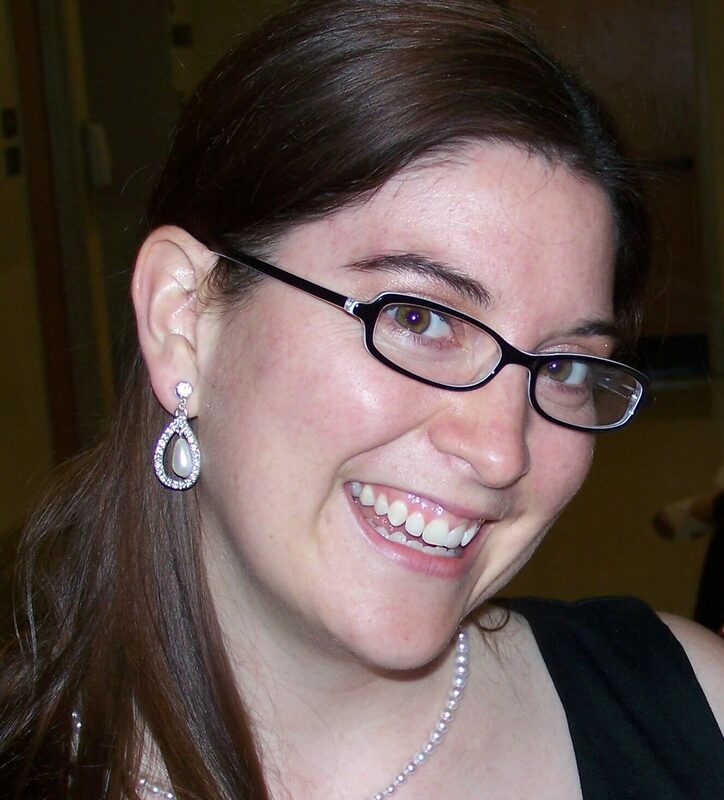 She is a former middle school teacher who now spends her time staying home with her 1 ½ year old son and working part-time in her church’s youth ministry department. She’s been married to her husband for 9 ½ years, and they have a passion for domestic adoption. 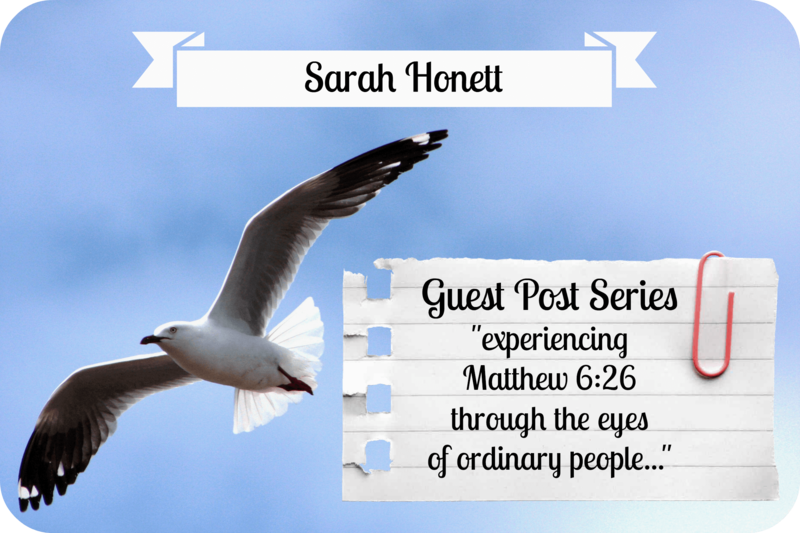 She blogs about faith and family.